The global fund of hedge funds industry witnessed some very strong trends over the last decade, in terms of size and population as well as different aspects of the industry’s make-up. 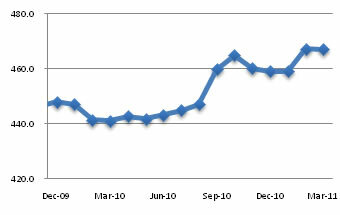 After growing at an incremental pace in the 2003 to mid-2008 period, the size of the industry reached US$826.2 billion in March 2008. However excessive losses and widespread redemptions, triggered by the global financial crisis and some high profile frauds, reduced total assets under management substantially and by July 2009 industry assets fell to US$433.7 billion. 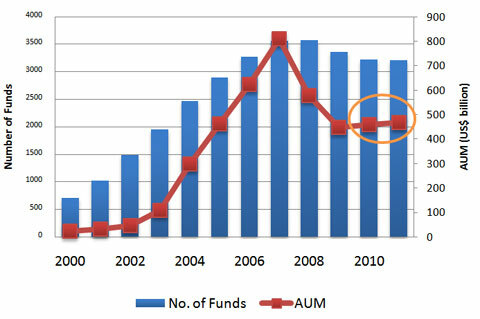 Figure 1 shows the industry growth in assets under management and fund population since 2000. Since 2010, the industry assets have posted a slight growth, however most of that has been through performance rather than net positive asset flows. The Eurekahedge Fund of Funds Index was up 9.57% and 4.48% in 2009 and 2010 respectively and remains in positive territory in 2011.